It was nice to have a chance to sit down and talk about this movie. I’d be lying if I said the previous season of the Fate/Kaleid series was all good. There were some real ups and downs to it. But I was pretty hopeful that this movie would turn out well. The focus of this movie was effectively the backstory of Miyu and Shirou. It was the kind of story that wouldn’t be enough to make for a full 1 cour series (or even the show’s more common 10 episodes), but would be pretty perfect for a movie. 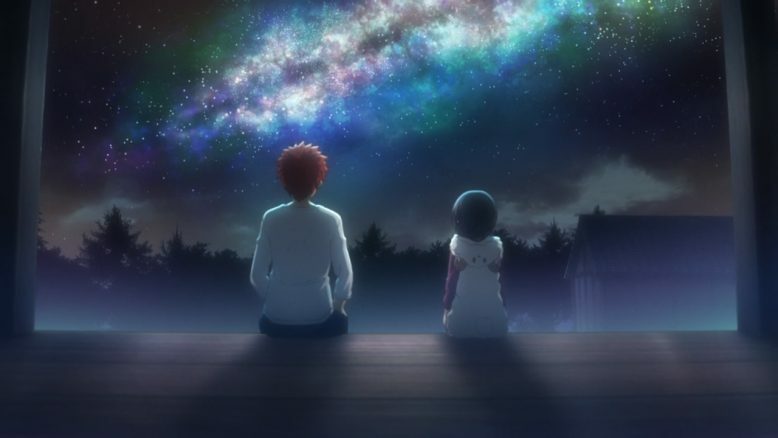 One change is that Miyu and Shirou aren’t sitting down and telling this story to the group. But I think that makes sense. It would take extra time to set up everyone sitting down and reacting to the story. Plus the key thing is telling the story itself. If/when the next Kaleid season hits they can just start the season with Shirou having told the story to everyone. The good thing I can say is that this was a pretty enjoyable movie. We got a chance to see how Miyu ended up in the state she was at the start of the first season and we got to meet honestly the best incarnation of Emiya Shirou I’ve ever seen. Opinions can vary, but I honestly think this is the best-rounded and likable version of the character we’ve gotten to see. Shirou honestly goes through quite the emotional rollercoaster in this show. He did start out fairly similar to the versions we’ve seen before. Shirou was kid who Kiritsugu saved and idolized him as a result. He saw himself and Kiritsugu as heroes of justice who were trying to save the world. The key difference that prevented Shirou from going down the same path as other versions of himself…was Miyu. If he didn’t have that presence in his life as he was growing up then he could have ended up closer to his other selves or even Julian. Kiritsugu never hestitated in chasing his goals. If sacrificing Miyu would lead to saving the world he was prepared to do it. Honestly if he knew about the Ainsworths I could see this version willingly cooperating since they had a clear grasp on how to use Miyu’s powers. A simple change in circumstances can change everything though. Miyu was someone that Shirou saved with his own hands when they met (with her help though). And he looked out for her and treated her as family for years. So of course when it came down to it…he couldn’t just sacrifice her. Not that he was given much of an option when it came to Julian’s attack…But in the end he made a choice to be family first, even if it was a wrong decision in terms of the greater good. The greater good would demand sacrificing one life to save the world. But it wasn’t an issue of a numbers game. That one life had overwhelming value for Shirou. So much so that he put everything he had in getting Miyu back and sending her off to a world where she could hopefully live happily. I just really like a version of Shirou with that kind of determination. He’s not just chasing an ideal, but throwing down the gauntlet to protect his family. I also just liked the story about Miyu’s family in general. They were a group that had all the power in the world at their fingertips, but simply used their wishes for the sake of their children growing up healthy. Sure they didn’t use their gifts to save the world, but they didn’t use them to become extraordinarily wealthy either. They just made sure the people that mattered to them most could grow up healthy. It was a simple wish, but not a bad one. Of course things didn’t go smoothly at all for Shirou. He lost Miyu in a brutal one-sided beatdown and couldn’t do a thing for the longest time in terms of saving her. Of all people he had to rely on Kotomine both to save his life and for information. Then he lost Sakura in a sad and tragic affair. She did give him an out. They could just walk away from all of it and be together. It wouldn’t have been a bad thing and being such a sweet girl they could have found some happiness. Of course in a sense there was no choice for Shirou to make. The doll of Shinji was going to kill her anyways. But in the end he wasn’t going to be able to just turn his back on Miyu. While Shirou defeated Shinji, it wasn’t going to bring Sakura back. Sakura’s death really was a sad moment though. 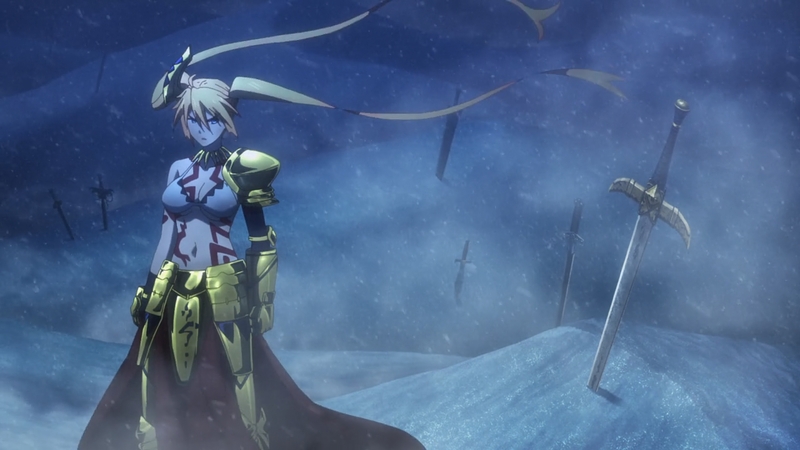 Even though Shirou made the choice to stay and fight and not just run away with Sakura…she still stood up to fight. Shirou chose to stay for his family, but Sakura still decided to fight for his sake. Of course logically there should have been some suspicion. Julian would have at least been aware of Sakura’s fondness for Shirou and it is hard to believe he’d give her the real Gilgamesh card. 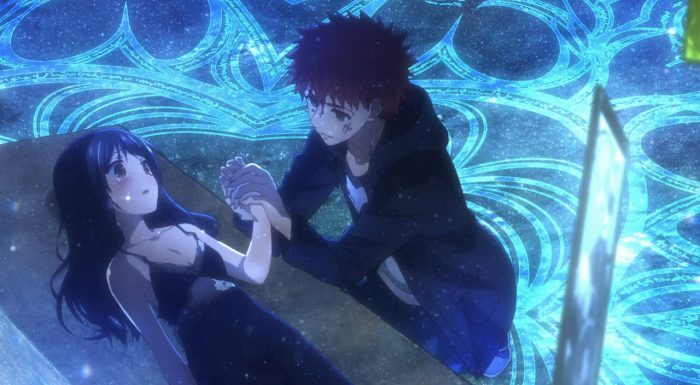 Although he still screwed up by giving her a card that was remotely functional since Shirou was able to use that to connect to EMIYA. Without Sakura’s death Shirou might not have reached such a low point that he could use the archer card, but it is still a sad thing. The one positive is that it did make things all the more satisfying to see Archer Emiya unleashing all kinds of hell on Shinji. Sure Shinji was just a tool that Julian was using, but in the moment it was pretty satisfying. No doubt it was a garbage card, but Shirou was the one person who could make use of that. It was a card after all, just one not connected to a servant. Shirou could effectively use himself as a catalyst to grab the powers of a possible future version of himself in the servant Emiya. If it wasn’t for the somber atmosphere, one could say it was a pretty fun fight between him and Shinji. We got some satisfying lines from Shirou about Shinji’s suitability to be an assassin and some nice applications of Emiya’s skillset XD. It’s a bit sad to go through all this and not focus on Miyu too much. In a sense this was mostly Shirou’s story though. 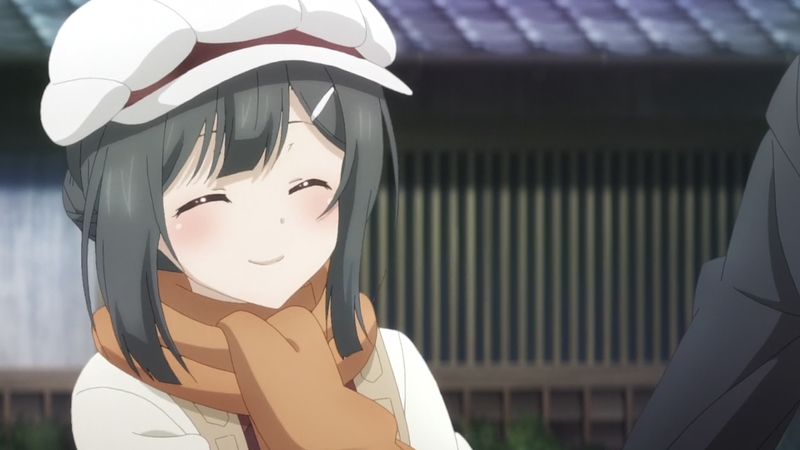 Miyu’s growth as a person and character mostly came through the actual Kaleid seasons. There she finally got the chance to interact with more people, to gain friends, and to find the things that matter to her. Still her role in this was critical. She created the hope for salvation that Kiritsugu and Julian were chasing after. And it was her growth that helped convince Shirou to walk the path he went down on. She made the choice and wish for herself to truly become Shirou’s sister. Similar to her blood relatives she didn’t use the power inside of her for anything too grand, but rather to just change her eye coloring to match Shirou. No doubt Miyu suffered quite a bit. 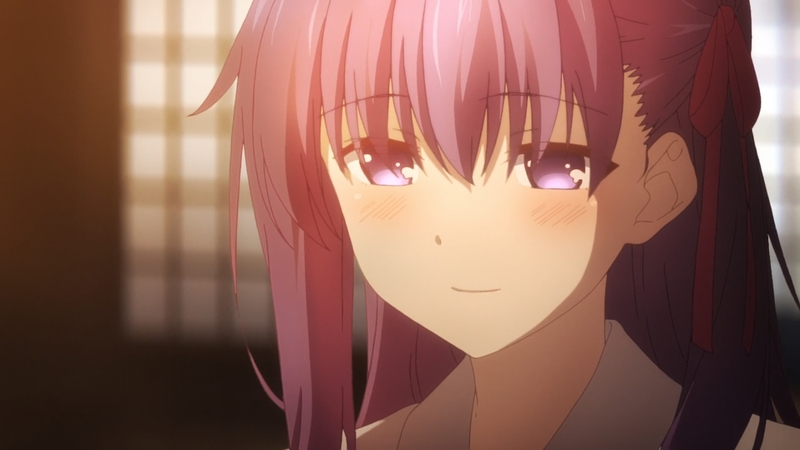 She found out how Kiritsugu and Shirou initially did intend to use her as a tool to save the world. And she learned that without ever finding out the more important part about Shirou rejecting that path. Only near the end of the movie did he have the time and will to make clear what really mattered. She was his precious sister and he’d send her off to live a happy life even if that meant picking her over the world. While I wouldn’t say the fights were the most awe-struck inducing I’ve ever seen, I thought they worked well enough. The quicker fights with the various card users were pretty solid. 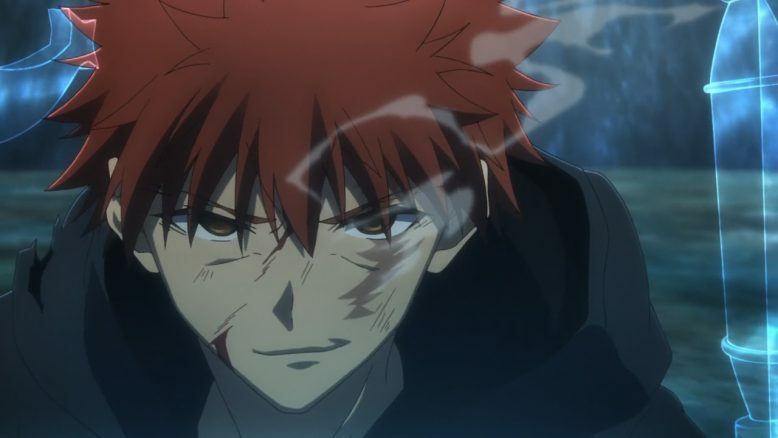 Shirou was able to use varied tactics to overcome his opponents while the movie also spent some time delving into what heroic spirit he was using for those unaware. 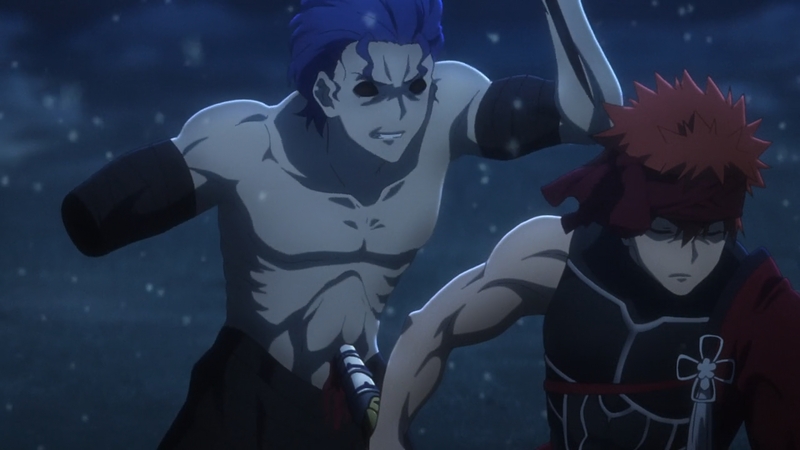 And I did as a whole enjoy the fight between him and ‘Gilgamesh.’ It does make you think back to the UBW series with some interesting differences. Angelica had no issue doing things that the actual servant Gilgamesh might hesitate to do; whether it was using the Ainsworth displacement magic to its fullest or using Ea without a shred of hesitation. Angelica had none of the pride of Gilgamesh and rather treated him as a legitimate threat to the Ainsworths. In the end Shirou got his win though. He may not have had the power to stand against the Enuma Elish thrown at him or overpower the King of Heroes. But he held out until Miyu made her way to Illya’s world. At that point it didn’t much matter since the support that she was giving to him was cut at that point. All he needed to do was make sure she escaped. That he was captured after that point was a minor inconvenience. After all with Miyu gone he didn’t have anything left in that world. Sakura was killed, Kiritsugu was long dead, and his closest friend was his enemy. Not an entirely pleasant conclusion for him, but one he was no doubt satisfied with. In the end I really did enjoy this movie. It wasn’t perfect, but I enjoyed the story it told. It was visually solid. Just nice to not be painfully distracted by some action scenes…And I liked just ending the movie with Miyu wandering around by herself, meeting Sapphire, and finally meeting Illya. That meeting being one that would shape her future going ahead. The movie did a nice job handling the backstory chapters of the manga and showing how Miyu and Shirou’s lives unfolded from their meeting to when Miyu came to Illya’s world. Now the only thing to wait on is the 3rei chapter of the manga to conclude and hopefully getting another season animated. At that point I’ll just be left hoping that Silver Link can handle the job. They did a solid job if nothing else with this movie.